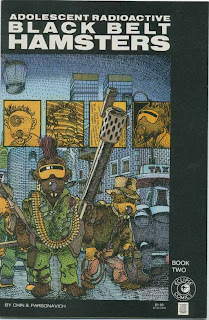 Kleefeld on Comics: How Radical Was TMNT? 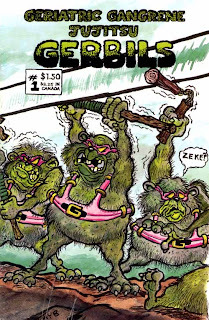 The comic, at first, seemed like something of a fad, with the quirky drawings and an even quirkier name. 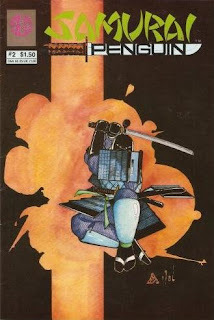 So, not surprisingly, it also spawned a number of rip-offs, which took only the most superficial of elements with them. My father recently dropped off some more of his comics collection for me, and he actually bought many of them. 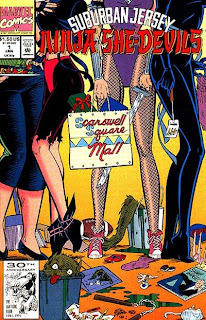 I thought I'd share some of the concepts... And, yes, these are all REAL comic books. Aiiig, I'd forgotten about Solson! 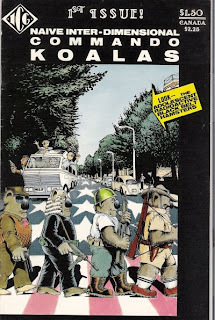 There was a lot that was cool about comics in the '80's, and then there was this stuff. 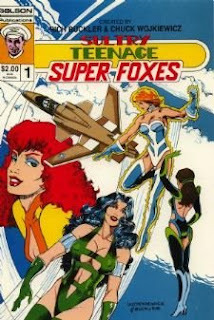 How dare you rag on the Sultry Teenage Super Foxes!! 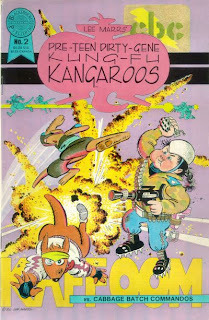 I actually collected TMNT knock-offs back then - I've got most of those issues up there in an old longbox, along with the first few Rock 'n' Roll Comics, some early Usagi Yojimbos, and a ton of weird dollar-bin stuff. (My favorite was Danse Macabre 3-D, a semi-gruesome horror book that I really want to look at again.) I was a weird kid. Oddly, the only one of those I remembered was Adolescent Radioactive Black Belt Hamsters. I wonder how many were full-on parodies, and how many were just trying to cash in.